– Sports equity is about fairness in sport, equality of access, recognising inequalities and taking steps to address them. It is about changing the culture and structure of sport to ensure it becomes equally accessible to everyone in society. – The Club respects the rights, dignity and worth of every person and will treat everyone equally within the context of their sport, regardless of age, ability, gender, race, ethnicity, religious belief, sexuality or social/economic status. – Sutton & Epsom RFC is committed to everyone having the right to enjoy their sport in an environment free from threat of intimidation, harassment and abuse. – All club members have a responsibility to oppose discriminatory behaviour and promote equality of opportunity. – The Club will deal with any incidence of discriminatory behaviour seriously, according to Club disciplinary procedures. With rugby at Senior level becoming so competitive and too often bringing with it a pervading culture of winning at all costs, it is vital that we do not forget the reasons why young players participate in and enjoy the game of Rugby Union. The idea of “fair play” should be a constant reference point for all those people involved in the mini and youth game. To lose sight of this would be detrimental to everyone. Sutton & Epsom RFC and its General Committee fully supports the spirit behind these guidelines and the ethos that they engender within the game. These should be followed at every level within mini and youth rugby. They are also relevant to the senior game played at this Club. – Providing a seasonal diary of the times and dates of training, matches and competitions. – Providing information on possible financial issues. – Agreeing issues relating to duty of care (e.g. responsibility for travelling to and from games). – Encouraging parents to attend coaching sessions and games and making them aware that the “win at all costs” ethos is not accepted in Rugby Union. – Ensuring that parents have realistic aspirations for their child and are aware of his/her strengths and weaknesses. – Informing parents about specialist equipment that is required (e.g. gum shields), and from where it can be purchased. – Ensuring parents are aware of what is acceptable touchline behaviour. – And above all, involving parents in peripheral activities that make them feel they ‘belong’, especially if it involves expertise which is not directly rugby related. Young people come into Rugby Union for a variety of reasons; it is the duty of the coach to recognise this and stimulate continued participation. Coaches have a responsibility to ensure that all youngsters are given the opportunity to fulfil their aspirations in a caring environment where the emphasis is on Fun, Enjoyment & Skill development. – Appreciate the needs of the players before the needs of the sport. – Be a positive role model – think what this implies. – Keep winning and losing in perspective – encourage young players to behave with dignity in all circumstances. – Respect all referees and the decisions they make (remember it could be you refereeing next week) and ensure that the players recognise that they must do the same. – Provide positive verbal feedback in a constructive and encouraging manner, to all young players both during coaching sessions and games. Provide experiences which are matched to the young players’ age and ability, as well as their physical and mental development. – Ensure all youngsters are coached in a safe environment – is there adequate first aid readily to hand? – Avoid the overplaying of the best players by using a squad system, which gives everybody a satisfactory amount of playing time. – Never allow a player to train or play when injured. – Ensure good supervision of young players, both on and off the field. – Recognise that young players should never be exposed to extremes of heat, cold, or unacceptable risk of injury. – Develop an awareness of nutrition as part of an overall education in lifestyle management. – Recognise that it is illegal for young players under 18 to purchase alcohol. – Ensure that their knowledge and coaching strategies are up to date and in line with RFU philosophy. – Be aware of, and abide by, the RFU recommended procedures for taking young people on residential tours at home and abroad. – Be aware of, and abide by, the policies and procedures outlined in the RFU child protection guidance booklet. Remember: Coaches working with young players up to the age of 12 must follow the guidelines laid down by the RFU continuum. Coaches working with young players age 13+ must be aware of the under 19 and under 15 Law variations,including those that apply to cross border matches. – Be familiar with the coaching and training programme in order that they can ensure that their child is fully involved and the coaches are aware of their availability. – Be familiar with the teaching and coaching methods used by observing the sessions in which your child participates. – Be aware that the club has a duty of care and therefore, where appropriate, assist coaches with the supervision of the young players, particularly where numbers are large and there is a need to transport youngsters to away games. – Be involved with club activities and share your expertise. – Share concerns, if you have them, with club officials. – Be familiar with the “Good Coach’s code”. – Coaches should recognise the importance of fun and enjoyment when coaching young players. – Coaches should keep winning and losing in perspective, encouraging young players to behave with dignity in all circumstances. – Remember that young people play rugby for their own enjoyment not that of their parents. – Encourage young people to play – do not force them. – Focus on the young players’efforts rather than winning or losing. – Be realistic about the young players’ ability, do not push them towards a level that they are not capable of achieving. – Provide positive verbal feedback both in training and during the game. Remember that persistent, negative messages will adversely affect the players’ and referee’s performance and attitude. – Always support the rugby club in their efforts to eradicate loud, coarse and abusive behaviour from the game. – Remember young people learn much by example. – Always show appreciation of good play by all young players both from your own club and the opposition. Respect decisions made by the match officials and encourage the young players to do likewise. – Recognise and appreciate the efforts made by coaches, parents, match officials and administrators in providing them with the opportunity to play the game and enjoy the rugby environment. – Understand the values of loyalty and commitment to adults and team-mates. – Recognise that every young player has a right to expect their involvement in rugby to be safe and free from all types of abuse. – Understand that if an individual or group of young players feel that they are not being treated in a manner that is acceptable, then they have a right to tell an adult either at the rugby club or outside of the game. – Play because you want to do so, not to please coaches or parents. – Remember skill development, fun and enjoyment are the most important parts of the game. – Be attentive at all training/coaching sessions. – Work equally hard for yourself and your team and both will then benefit. – Recognise good play by ALL players on your team and by your opponents. – Be a good sport – win or lose. – Play to the laws of the game and accept, without question, all the referee’s decisions. – Control your emotions. Verbal or physical abuse of team-mates, opponents, or match officials IS NOT ACCEPTABLE. – Treat all players, as you would like to be treated. Do not interfere with, bully or take unfair advantage of any player. Young rugby players are impressionable and their behaviour will often reflect that of adults around them. In Rugby Union we welcome spectators on our touchlines who embrace the ethos of the game as one of FUN,ENJOYMENT and SKILL DEVELOPMENT. – Act as positive role models to all young players. – Be familiar with, and abide by, the RFU child protection guidance in relation to verbal and emotional abuse. 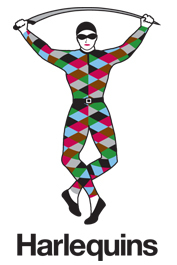 – Respect the rugby club policy with regard to spectator behaviour. – Remember children play sport for their enjoyment not yours. – Acknowledge good individual and team performance from all youngsters irrespective of which team they play for. – Respect match official’s decisions. Remember, they are volunteers providing an opportunity for youngsters to play rugby. – NEVER VERBALLY ABUSE YOUNG PLAYERS, MATCH OFFICIALS, FELLOW SPECTATORS OR COACHES. Such behaviour can create a negative environment for young players and their behaviour will often reflect this. – Acknowledge effort and good performance rather than the “win at all costs” ethic. – Verbally encourage all youngsters in a positive way. If you do want to shout make sure it is ‘for’, not ‘at’, the players. – Condemn bad language, rude behaviour and violence. – Encourage all youngsters irrespective of their ability – never ridicule any individual player, regardless of the team they play for. – Remember – It’s only a game! – Recognise the importance of fun and enjoyment when officiating young players. – Emphasise the spirit of the game. – Appreciate the needs of the young players before the needs of the sport. – Understand the physical, social and psychological development of young players. – Be a positive role model. You set an example and, as such, comments you receive should be positive and supportive. – Look to self-improvement by taking one of the RFU referee courses e.g. Mini/Midi or National 15-a-side. – Recognise that the safety of young players is paramount. – Explain decisions – all young players are still learning. – Always penalise foul play. – Play advantage whenever possible in order to let the game flow. – Show empathy for the age and ability of young players. – Be consistent and objective. – Ensure that verbal abuse from players, coaches or spectators is not tolerated and is dealt with by club officials immediately. 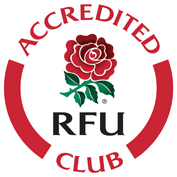 – Be aware of, and abide by, the RFU Child Protection Guidance policies and procedures. Remember: Officials working with young players up to the age of 12 must officiate to the rules laid down in the RFU continuum and must keep themselves updated on rule changes. Officials working with young players age 13+ must officiate according to the under 19 and Under 15 Law variations and keep themselves updated on relevant changes. – Encourage an environment within the rugby club whereby the opportunity to play rugby is offered to ALL youngsters. – Encourage the concept of good sporting partnerships between young people, their parents, club coaches and officials. – Involve young people in the decision making processes, where appropriate. – Recognise that the rugby club has a ‘duty of care’ towards all young club members. – Ensure that the club provide responsible supervision for all young people. – Promote the concepts of fair play, respect and enjoyment. Discourage the ‘win at all costs’ ethic amongst the club community. – Provide coaches with the opportunity to achieve governing body qualifications. – Ensure that young players are registered under the RFU scheme. – Ensure that the club coaching/playing programme reflects the RFU guidelines and does not expose the young players to the possibility of overplaying. – Ensure matches are officiated by suitable, and preferably qualified, referees. – Ensure that appropriate medical and first aid provision is always available. – Promote youth sections as being an integral part of the club. – Promote links with the local community, particularly schools. – Ensure that the club community is aware of, and abides by the policies and procedures outlined in the RFU Child Protection Guidance booklet.